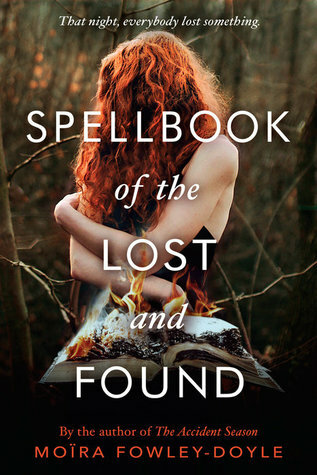 Enchanting and seductive, Spellbook of the Lost and Found will surely keep you on the edge of your seat! Firstly, can we discuss that cover?! Every single aspect of it is so stunning and inviting. It is just screaming "READ ME!". I'll admit it, when I saw this August release, it was the cover that drew me in and it was the cover that made me want to have it immediately. Then I read the premise and it just made me want it even more. I had to have it. In my hands. Now! Spellbook of the Lost and Found is a decent sized book, coming in at 368 pages, it's not necessarily a light read, but you will devour it. It will consume you and whisk you away because you just simply need to keep reading. It will cast you under its spell and twine its firm grasp around you. You'll fly through the pages, fighting the need to know how this story unfolds, and if like me, you'll likely eat this book up in one sitting! Fowley-Doyle does a miraculous job at painting a picturesque setting. Plucking you up and placing you gently in the vivid world of these 6 teenagers in Ireland. Another giant feat the author took on was delivering the story in the perspective of not one, not two, not three, but SIX points of view and she did so flawlessly! We had the pleasure of reading from the POV's of all characters and their colourful personalities and backstories. It was truly a delicious treat! The story is dark and ominous. I was continuously left feeling like something was lurking around the corner, waiting to jump out. It made for a very lively and theatrical reading experience! Fowley-Doyle's writing style was impeccable. She delivers the tale in an almost poet and lyrical manner. Making the words just fall delicately off of the pages and into your imagination. She's made me an instant fan! I cannot wait to pick up her debut novel, The Accident Season and I eagerly await her future work! If you're looking for a dark and magical tale, something that is as equally haunting as it is beautiful than Spellbook of the Lost and Found is the book for you!